Cassidulina laevigata, copyright Onno Groß. 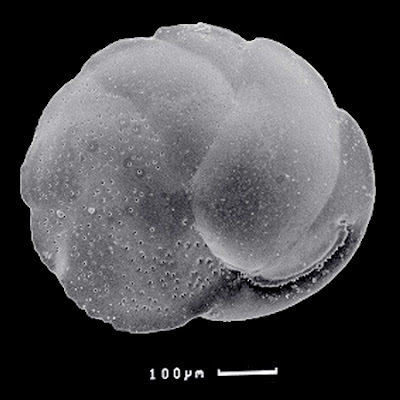 The Cassidulinidae are a group of Foraminifera with biserial, planispirally enrolled chambers, known from the Eocene to the present (Loeblich & Tappan 1964b). Characters (from Loeblich & Tappan 1964b): Test lenticular, subglobular or elongate; chambers biserially arranged, alternating chambers also planispirally enrolled at least in early stage, later may be uncoiled; aperture elongate, comma-shaped, slit extending from basal suture into apertural face.